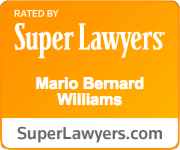 “I was new to the Atlanta area and had a case that was not important to anyone until I talked to the law office of Williams Oinonen LLC and after that I started to see thing move for me. I am so satisfied with all the effort that Williams Oinonen LLC did for me. I don’t think I would have received this kind of loyalty or support from any other firm in GA. They made it easy for me to understand what was going on every step of the way. They explained every law term in plain English with me. I have and will continue to refer people to this firm. I have yet to hear any complaints from anyone that I have sent their way. So I highly recommend the law office of Williams Oinonen LLC. If I ever need a law firm this is the only one I will call. I cannot say enough about this office. You guys are my lawyers for life!”–Tim T.
Williams Oinonen LLC represents Georgians all across the state in employment matters, personal injury, business litigation, business disputes, education and civil rights matters. We are passionate about our clients and fight hard for them to obtain the justice they deserve. As the 2011 year ends, we are grateful for the opportunity to serve our Georgia community and look forward to future service.